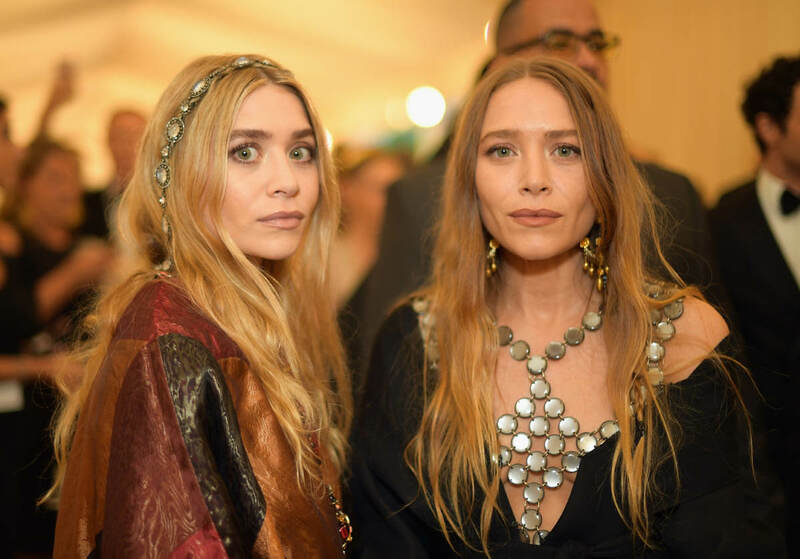 Where do I start – Wendi Deng or the Olsens? 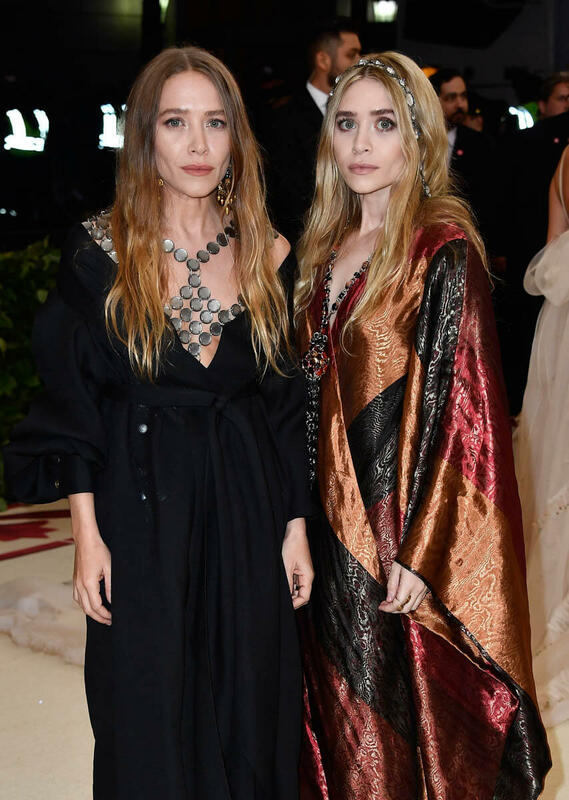 For the Olsens, it will be quick and easy as my point from last year still stands – the Olsens have a specific aesthetic and an innate sense of style, and they don’t bend the knee to anyone (including Anna Wintour). This year, their aesthetic just so happens to fit in with the theme. They are wearing not quite robes, but definitely robe-like dresses. Specifically, Mary-Kate is in an off-the-shoulder wrap dress and Ashley is in a wide cut V-neck gown with wide sleeves. Putting aside that it’s the Met Gala, I think Mary-Kate’s dress is totally fantastic and imitable. I love that she pushed up her sleeves (this is such an amazing and cool use of sleeves for a dress on the red carpet – look how good it is!) and how the deep V in front is complemented by the breast plate, which manages to be both tough and delicate. Also, placing the tie for the wrap higher up the waist gives such a clean, long line for the skirt. I really, really love this black dress. Throw on some chunky accessories and say “prune!” because they are in the books for another year. 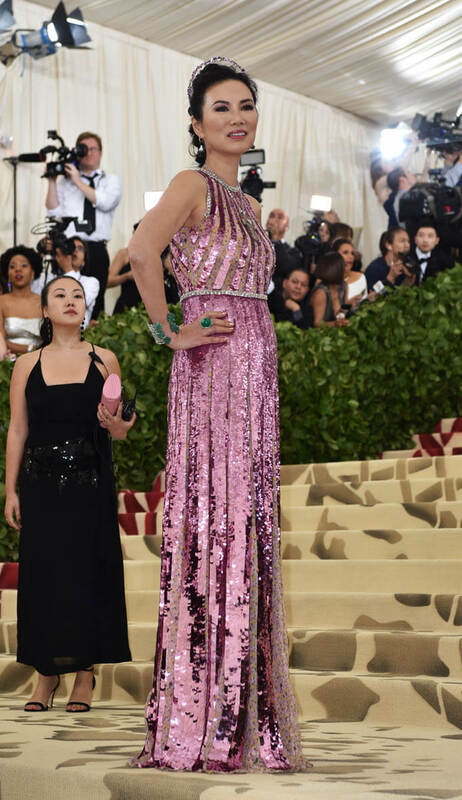 On the other end of the style spectrum is my light and inspiration, Wendi Deng, who has some major pull at the Met Gala (she co-chaired a few years back and threw a who’s who pre-Met party, which Vogue breathlessly covered here). What the f-ck is this purple dress? Actually, it’s not exactly purple (if it was, I could pretend that the colour is a nod to the vestments worn during advent). It’s more pink then purple though, right? A sparkly gown like this is perfectly acceptable for a society event (which, to be fair, the Met Gala is to Wendi). Still, even though she doesn’t have to try (at all) she is a participant, a good sport!, and wore a halo and crucifix. To be honest, I’m not so interested in what Wendi does on the red carpet as I am in what she does once she is inside. Who is she sitting with? Who will she introduce – Wendi loves to connect her friends. Will she make any new friends tonight? Will someone cross her and become a mortal enemy? I want to know all of her secrets, even in that dress.